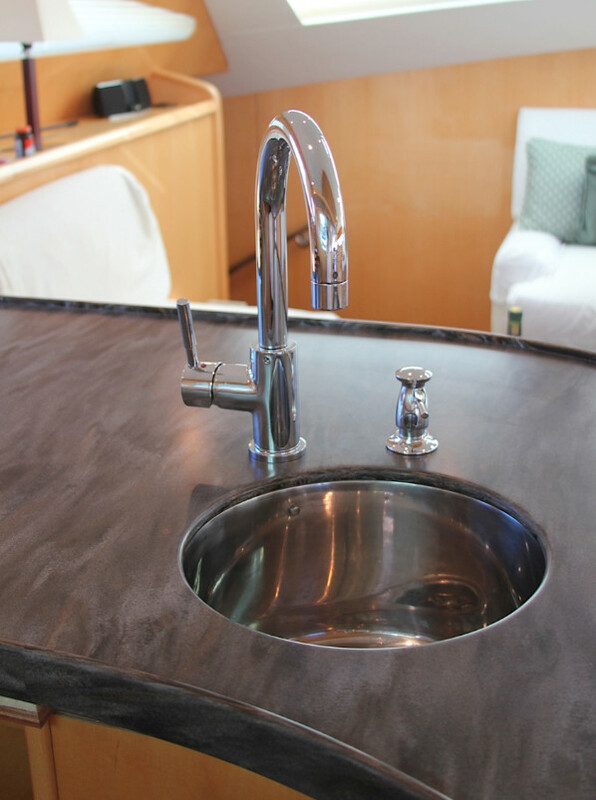 Corian is the Perfect Countertop Material for a Yacht! Our good friends from In House Custom, sent the captain of a breathtaking catamaran (docked in Fairhaven for annual maintenance) into our showroom to select new Corian countertops for the bar area. They went with the color Sorrell and a custom "no drip" edge. Installation and fabrication by Counter Productions! Great work guys!! !